Posted on November 24, 2015 at 2:21 pm. 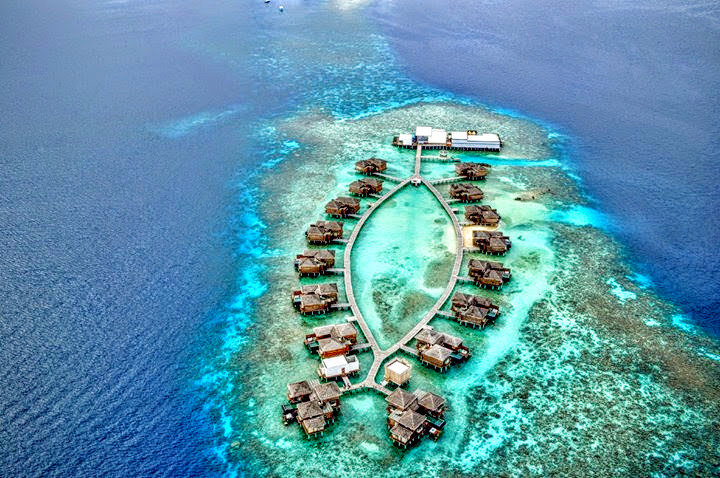 Jumeirah Group, the Dubai-based luxury hotel company and a member of Dubai Holding, has launched Jumeirah™ Inside – a virtual platform comprising 360° video and photography which enables users to make hotel bookings, access never-before-seen footage, discover hidden treasures and share them with the world. 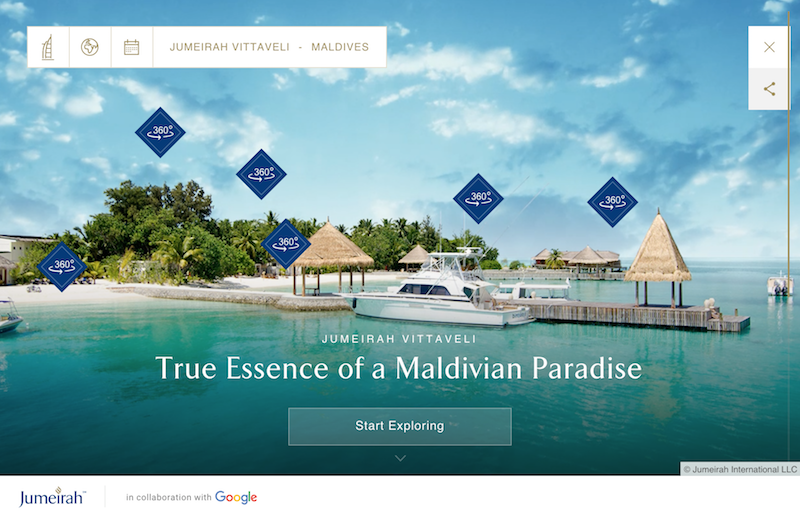 Jumeirah™ Inside, developed in collaboration with Google, is a hotel industry first and offers a fully immersive digital travel platform which is accessible through jumeirah.com. The platform provides access to Burj Al Arab Jumeirah which is brought to life by 360° video, 3D sound, playful interactions and exclusive hotspots – this is not just a tour through a building, it’s a journey through a brand. The virtual journey begins at the world’s most luxurious hotel where guests can see, hear and move around like never before. Users can uncover new information and explore the vibrant colours and playful water features in the atrium through 360° video. Other experiences include the chance to dive into the Talise Spa infinity pool, take a leisurely stroll through the magnificent Royal Suite, and explore Dubai from the exclusive helipad. 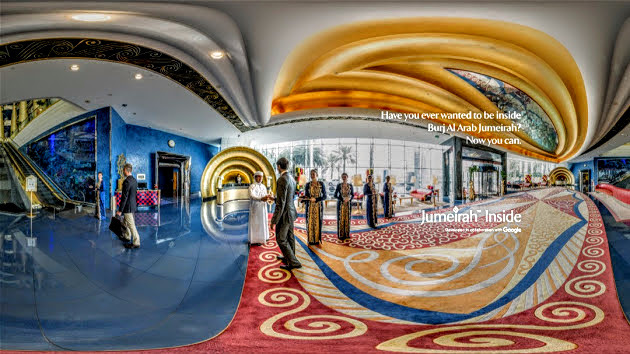 From there guests can continue their virtual journey and explore Jumeirah’s hotels and resorts around the world. 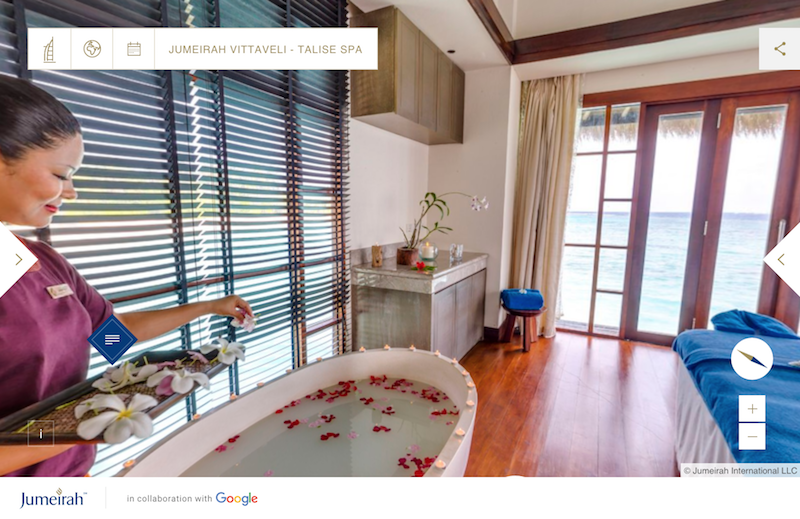 By clicking on 360° photo spheres, which each have informative hotspots, users will uncover Jumeirah’s STAY DIFFERENT™ experiences which can be used to inspire their friends through Facebook, Twitter, Weibo, Wechat and Google Plus.